Following on from all of the amazing announcements that the festival have put forward even more fun is to be had with the arrival of even more bands. Bringing their swashbuckling live performance to the masses, everyone’s favourite Pirate Metallers Alestorm will be performing on main stage on Sunday. Mad to think that it’s been ten years since the band have performed at the festival. All the more reason to get on down! Following that the doom mangers and a band responsible for one of my favourite records of 2018, Pallbearer will be performing at Bloodstock Festival at last!! I cannot tell you all how brilliant this is. Everyone should be overjoyed seeing this band on the Sophie stage. Following on from these two are Doomsday Outlaw and Fahran from the more local ends of the UK but shall no doubt be Ines to watch just as much. 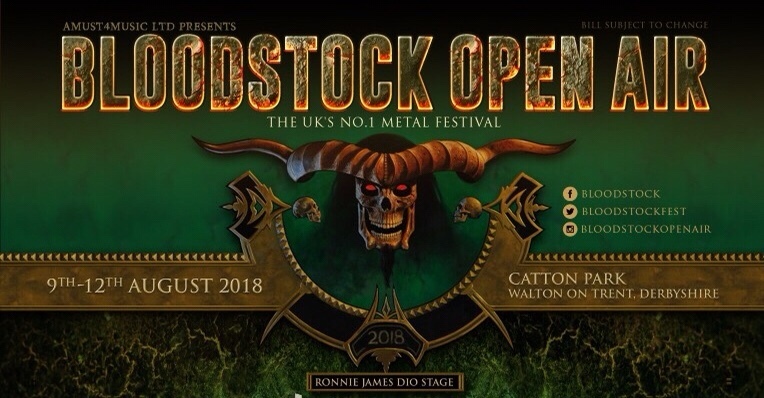 If these new announcements along with At The Gates, Gojira, Judas Priest, Watain, Emperor, Bloodbath, Devildriver and SO MUCH more doesn’t make you want to pick up a ticket, then I don’t know what else will! Pick up tickets right here.